The Galapagos bullhead shark has been present on earth since the early Jurassic period, about 200 million years ago. Discovered 175 years ago, it has sadly been largely ignored by science. Little is known about the species, and it is listed as ‘Data Deficient’ on the IUCN Red List of Threatened Species. Measuring in at up to 107 cm long, it is much smaller than some of its ocean companions. As a poor swimmer, it spends most of its time on the sea floor, where it can be seen resting motionless. 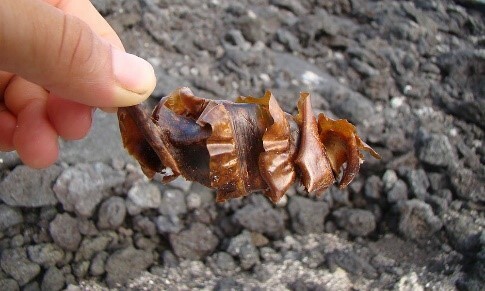 The Galapagos bullhead is the only egg laying, or oviparous shark in Galapagos, laying eggs that resemble corkscrews, hidden in crevices away from predators. 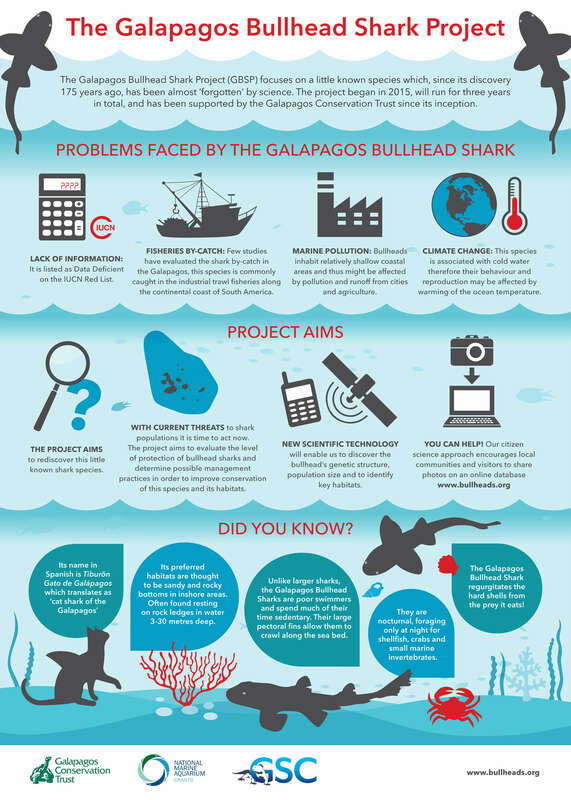 Look at our fabulous infographic to find out more about our project and the beautiful Galapagos bullhead sharks. How can we help protect this unique shark we know so little about? Without knowledge of where the sharks live, their preferred habitats and nursery grounds and population, it is difficult for scientists to work to protect them. 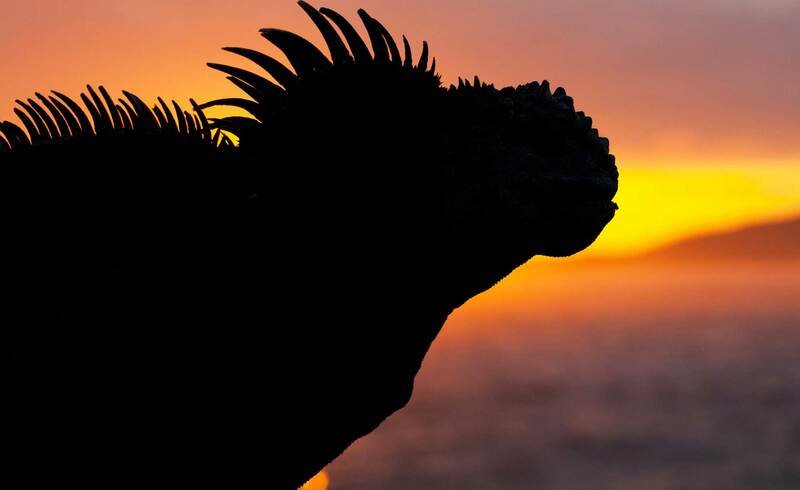 Our Galapagos Bullhead Shark Project aims to rediscover this forgotten species.